The Lord's Cricket Ground has its own traditions which include the bell ring before the start of play on each day of a Test, honouring the best performers of each Test match by etching their name on the Lord's Honours Board etc. 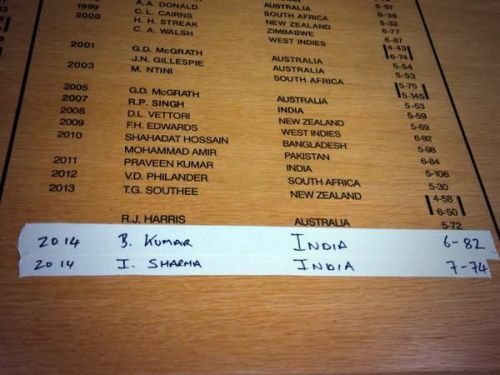 Ever since the first match at the venue between arch-rivals Australia and hosts England in 1884, whenever a batsman scores at least 100 in an innings or a bowler takes at least five wickets in an innings or a 10-wicket haul in a match, the player will have his name etched in the board. All the five honours board (England batting, England bowling, visitors batting, visitors bowling and neutral honours board for the neutral teams playing at the venue) have over 500 names across them and a the names of a lot of legendary cricketers including Sachin Tendulkar, Ricky Ponting, Brian Lara, Shane Warne, Muttiah Muralitharan etc. not being a part of the board. While a lot of legends not a part of the board, there are some surprising names in it. Let us take a look at five surprising names in the historic board. The 2010 Test match between England and Australia at Lord's that saw Steve Smith make his debut for Australia as a leg-spinner is one of the two neutral matches that were played at the venue with the other being South Africa vs Australia way back in 1912. Since the players who performed in these matches will not come under England batsmen, England bowlers, visiting batsmen, visiting bowlers category, the neutral board has been established. 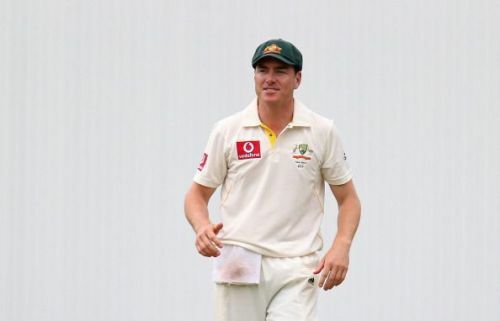 Former Australian middle-order batsman Marcus North is one of the four players which include former Australian cricketers Shane Watson, Warren Bardsley and Charlie Kelleway to be featuring in the board. Surprisingly, North made it to the board not because of his batting, the art which is considered to be his primary job in the side. He got out for a duck and 20 in the two innings he batted but went on to feature in the Honours Board, something which is skipper in that match, Ricky Ponting couldn't do, by claiming six wickets in the second innings in which he finished with figures of 6/55 and helped his team beat Pakistan by 150 runs.